What is realignment under AB 109? California Assembly Bill 109 (AB 109) mandates that individuals convicted of certain felony crimes may no longer be incarcerated in state prison. Instead, these offenders must be sentenced to county jail terms, or a combination of time spent in county jail and the remainder of their sentence under supervision of the county probation department. Passed in 2011, AB 109 has been a controversial law, and there are some misconceptions about it. 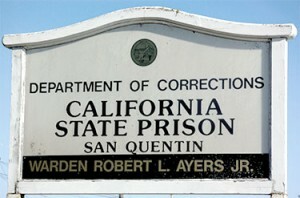 In 2011, a Supreme Court ruling forced the state of California to decrease its prison population by 30,000 inmates due to severe declines in medical and mental health care. This led the state assembly and Governor Jerry Brown to enact Assembly Bill 109 (AB 109), also known as California’s Prison Realignment Plan. While some might argue that being tough on crime is a good thing, overcrowded prisons endanger guards and inmates, and make rehabilitation efforts more difficult. Under AB 109, individuals who are convicted of felony crimes that are non-serious, non-violent, and non-sexual can no longer be sentenced to state prison. Instead, they serve their sentences in county jail or via “split sentencing”, in which an individual serves part of their sentence in county jail and part under Post-Release Community Supervision (PRCS). Under PRCS, an individual is placed on mandatory supervision by the county probation department. This structured reentry into society is intended to help reduce recidivism rates by ensuring that offenders are offered the help they need to reintegrate, including jobs and skills training, mental health counseling, and substance abuse treatment. AB 109 has been controversial since it passed, mainly due to misconceptions about the structure of the program. PRCS is not an “early release” program in the sense that some people may think. Upon release from incarceration, offenders are supervised by their county probation department rather than the state parole board. County probation departments have sole discretion when it comes to determining who is eligible for the program, what their risk level is to the community, and whether or not they will need additional monitoring by law enforcement. Another common misconception is that AB 109 shortened sentence lengths, but this is not true. Sentencing guidelines are outlined in the state penal code and are the same as they were before realignment, although as previously noted, the use of split sentencing allows some offenders to serve part of their time in county jail and part under county supervision. Realignment also makes it more unlikely for an offender to be returned to prison on a parole violation. Individuals on PRCS face up to six months in county jail for violating the terms of their parole, rather than being sent to state prison to serve out the remainder of their sentence. As of July 2013, parole violations are adjudicated by local courts instead of the state’s Board of Parole Hearings. Is AB 109 realignment working? Since AB 109 has only been in effect for five years, it is not yet possible to say what the long-term impact will be. However, the California Department of Corrections and Rehabilitation has reported that the state’s prison population has dropped by about 25,000 since realignment took effect. It is too early to tell what effect realignment may have on recidivism rates, although a realignment report released by the state in 2013 showed that only 7% of inmates released post-realignment returned to incarceration within one year, compared to 42% before realignment.